As official statements responding to the United States Mexico Canada Agreement (UNMCA) roll in, CBC News will post them below. "The agreement-in-principle we reached today is good for Canada, good for Canadian businesses, and most importantly, good for Canadian workers and their families. When this improved agreement is implemented, North American trade will be preserved and modernized for the 21st century – just as we set out to do." "Today, Canada and the United States reached an agreement, alongside Mexico, on a new, modernized trade agreement for the 21st Century: the United States-Mexico-Canada Agreement. "USMCA will give our workers, farmers, ranchers, and businesses a high-standard trade agreement that will result in freer markets, fairer trade and robust economic growth in our region. It will strengthen the middle class, and create good, well-paying jobs and new opportunities for the nearly half billion people who call North America home. "We look forward to further deepening our close economic ties when this new agreement enters into force. "We would like to thank Mexican Economy Secretary Ildefonso Guajardo for his close collaboration over the past 13 months." "USMCA is a great deal for all three countries, solves the many deficiencies and mistakes in NAFTA, greatly opens markets to our farmers and manufacturers, reduces trade barriers to the U.S. and will bring all three Great Nations together in competition with the rest of the world." 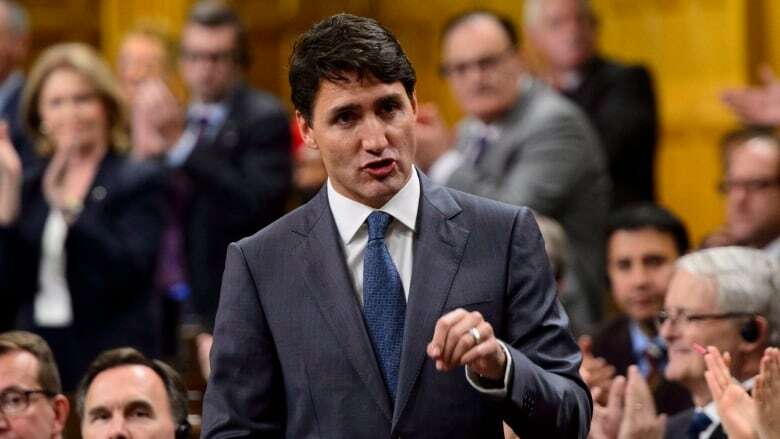 "Justin Trudeau needs to explain how much Canada lost in the new USMCA. While we await final details, it appears Canada has failed to achieve progress on key issues, while giving ground to the U.S.. Tariffs on steel and aluminum remain." "Many Canadians were worried we wouldn't get a deal, but today, many of the same Canadians are worried about what we have given up to get this deal. This trade deal is nothing like what the Liberals promised at the beginning of negotiations. Canadians were looking for a better deal, and instead, we seem to be getting a new name, but a worse deal. 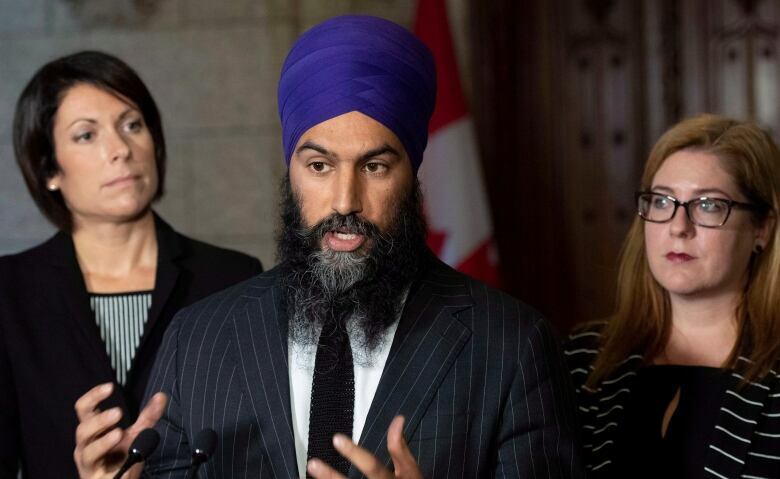 "Instead, none of those new chapters are included, and the Liberals have made major concessions to the Trump administration that will hurt dairy, poultry and egg farmers and producers, restrict Canadians' access to locally produced food and put food safety at risk. 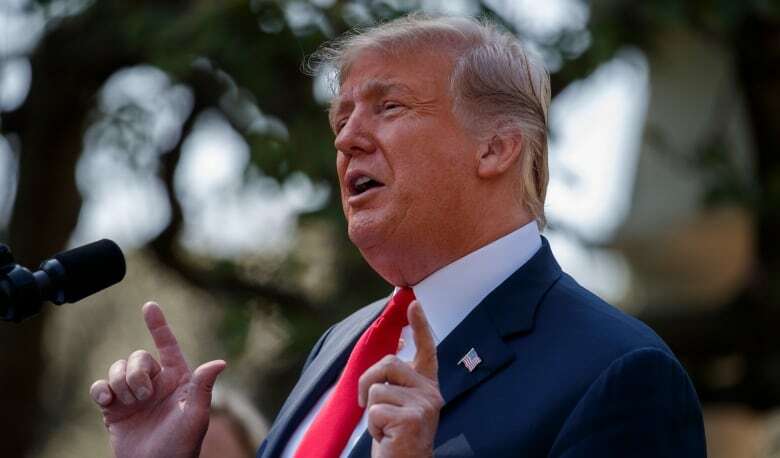 "While auto tariffs are off the table, they never should have been there in the first place. And the Liberals have failed to get any assurance that the U.S. will lift aluminum and steel tariffs. These tariffs hurt workers across Canada, and could result in at least 6,000 job losses. "The Liberals claim they support some form of pharmacare, but this deal makes medication even more expensive. The deal extends patents on biologics from eight to ten years, meaning Canadians are going to have to wait two more years to access cheaper generic versions of medication they need to treat chronic conditions like rheumatoid arthritis and Crohn's disease. 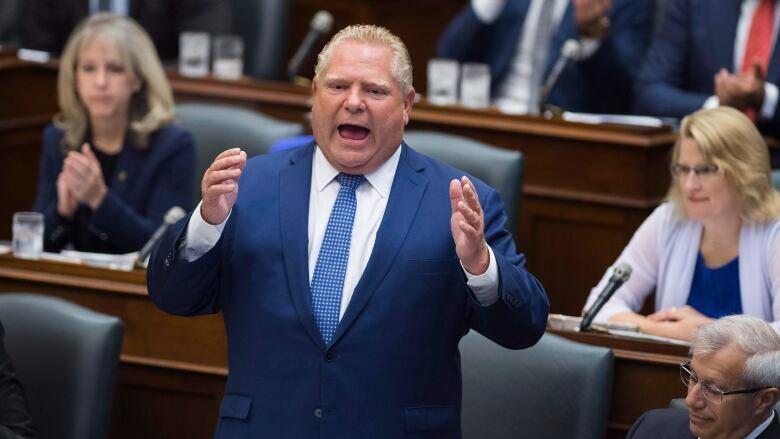 "So this is a bad deal for individual Canadians who will be paying more for medication, and it's a bad deal for employers and governments whose drug plans will be paying tens of millions of dollars more per year to cover these medications. "In the next few weeks, Canadians are expecting transparency from the Liberal government. The Liberals owe it to Canadians to bring the deal for study and debate to Parliament. Canadians need to know what they're being signed on to and how this will affect their livelihoods. The NDP will continue to press the Liberal government to be transparent and will continue to stand up for our workers and industries." "This agreement is a highly significant achievement for Canada, while benefiting all three countries as it should. "I have not yet had the opportunity to study the full text — and frequently the devil is in the details — but Canada appears to have achieved most, if not all, of its important objectives in this lengthy and challenging set of negotiations. 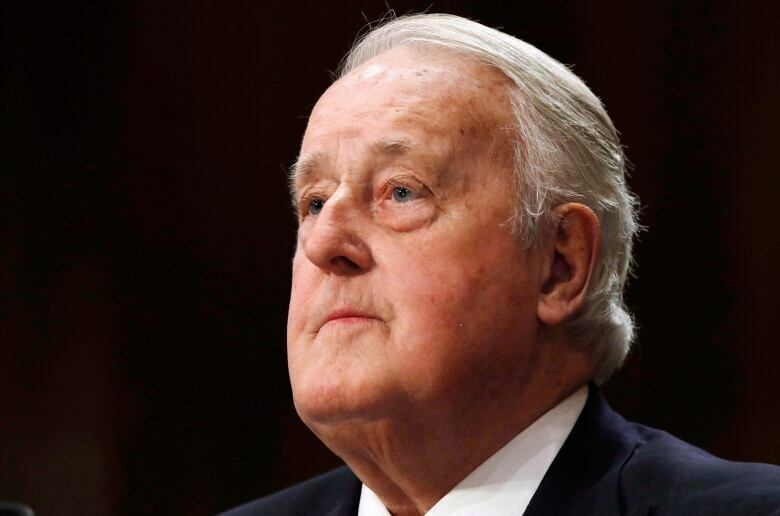 "I said at the beginning that there is no Conservative or Liberal way to negotiate a free trade agreement — there is only a Canadian way. "This has been the government's approach as well and I commend all — from the prime minister down — who contributed to writing this vital new chapter in the ongoing drive for greater Canadian strength and prosperity." A NAFTA deal in principle will help ease investor anxiety, stabilize trade exposed sectors and reassure the world that North America remains committed to free trade. Congrats to Team Canada. 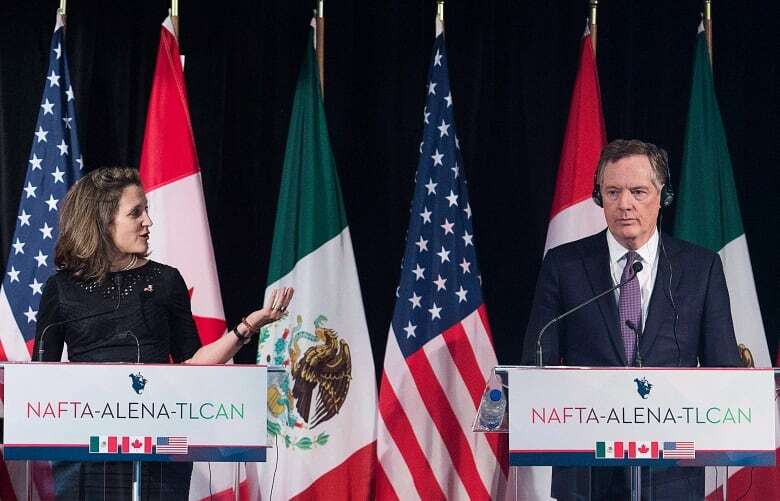 NAFTA 1.0 was not perfect, nor is the USMCA. But the most successful trading alliance in history will continue. Lots to discuss &amp; analyze to be sure. Bottom line: free trade faced its greatest threat to date and free trade won. "We also need to create and protect good jobs here in Ontario. While I'm optimistic that the USMCA announced today will create continued opportunities, I remain concerned about the impact of Canada's reported concessions on Class 7 milk and access to Ontario's dairy market could have on our agriculture sector. We also remain concerned about the remaining steel and aluminum tariffs. "Our government will be speaking directly with industry representatives from Ontario's steel, aluminum, auto and agriculture sectors to determine the impacts of this deal. "During the negotiations, we made it clear that any deal must keep Ontario's steel, aluminum, auto and agriculture industries top of mind. Our government will continue to vigorously defend and advance Ontario's economic interests at home and abroad. "Both Ontario and our partners to the south succeed when we can trade easily. Ontario does $389 billion worth of trade with the U.S. We are the number one trading partner for 19 states, and number two for 9 others. It is absolutely critical for both Ontario and our friends south of the border that the new USMCA arrangement helps us build on that success. "Our government will continue to vigorously defend and advance Ontario's economic interests. We will make sure that we protect our economy, our jobs, and the people of Ontario."